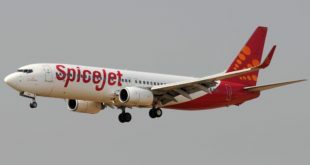 SpiceJet, reported its third quarter results of the fiscal year 2018-19 (FY19) this Monday. There were mixed views on the performance. While a profit of 55.1 crores is definitely good news, when compared to the same period last year the profit declined by 77%. Performance also cannot be cited as definitive as this came during the strongest quarter of the year. Further, the induction of nine 737 MAX 8s which have likely delivered strong sale and leaseback gains for the airline and impacted overall profit. SpiceJet saw a revenue increase of 20% against a capacity increase of 16%. Yields were stronger with higher fares for the quarter (which were up by 8%). Load factors fell compared to the last quarter which indicates that SpiceJet was more aggressive with revenue management and managed to drive yields. However, this was during the third quarter which coincides with holiday travel and is usually the strongest quarter of the year. Thus conclusions that yields are firming up and that airlines will now not engage in fare wars – as is being done by some reports – is premature. While total RASK was up by 4%, passenger RASK was flat. This indicates that most of the RASK improvement came from other items. Explored further these are largely ancillary revenue and possibly other gains that have been booked. Overall revenue was also aided by the sale and leaseback income that Spice Jet would have gained with the induction of nine 737 MAX 8s in the quarter. This is likely booked under their other income and a breakup has not been provided as yet. Overall costs increased by 33% compared to the same period last year. This was driven by ATF costs that were higher by 38%-40% and a weaker rupee that was down by 11%. SpiceJet’s international expansion no doubt would have helped with both of these items – as ATF is cheaper at overseas destinations and forex receipts could have helped offset the rupee weakness. 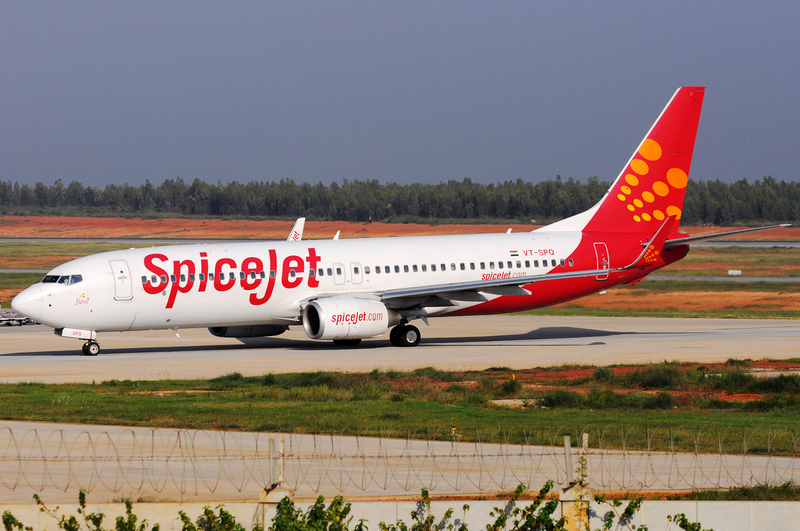 The financials also reveal that SpiceJet has reversed a provision of Forex which is their call on the rupee gaining some ground in the months to come. Yet on a network level, the impact of ATF and forex combined led to an overall increase in the cost per available seat kilometre which was up by 15%. The impact of such a high cost is the ability of the airline to sell low fares profitably. Beyond certain fare levels (which vary by routes), travellers simply switch back to rail as the preferred mode of travel. This is especially true for regional routes where SpiceJet has significant exposure. SpiceJet ended the quarter with 27 Q400s and 49 Boeing 737s including one freighter. The Q400 strategy continues to serve the airline well and its focus on more Udan routes is proof of the same. The induction of the Max8s also helped SpiceJet in lowering costs given the efficiency of the aircraft and the lower maintenance costs associated with new aircraft. For the quarter SpiceJet focused on new flight segments with 10 new flights under Udan and 54 new flights overall. SpiceJet is planning on aggressive inductions of the 737 Max8s. These aircraft will help lower its CASK and also help open more destinations given the range from 2935 nautical miles to 3515 nautical miles. However, in case of teething issues or issues that were highlighted by the Lion Air crash, SpiceJet may have to temper the induction plan. SpiceJets induction plan is also interesting as they are building on capacity in Q4 which is traditionally weak. However, strategically this enables them to position and defend against Indigo which continues to be very aggressive with capacity. We mentioned this in the analysis for the second quarter but is worth repeating. SpiceJet has a unique network in that it has included a lot of regional routes. With 77 aircraft it services 59 destinations (including eight international) and some analysts indicate that this network is spread too thin that is not enough frequencies to each point. However, the beauty of such a network is also the adaptability and the ability to launch or remove flights extremely quickly. 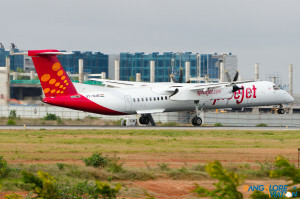 With Indigo deferring their ATR orders and Jet Air also reviewing their regional fleet, SpiceJet continues to be the one operator leveraging regional routes towards profitability and may be able to do so for some more time. As the domestic market sees aggressive capacity induction by all players, SpiceJet has clearly indicated its intent to focus more on international segments. The benefit of this is both on the revenue and cost side as these segments command a higher yield and with ticket pricing in foreign currencies enable the airline to earn revenues in foreign currencies. Costs are aided by lower ATF charges thereby impacting overall route economics (on a round-trip basis). Finally, with capacity exhausted for foreign carriers on several bilaterals, it gives SpiceJet more certainty that it will not be met with a capacity war in these markets. Going forward aggressively attacking operational challenges may be key to success. With slots and parking saturated across the country, a war for talent and airport operators pushing for slot adherence impacting overall schedules, SpiceJet (and indeed all airlines) will have to work aggressively and collaborate with government to alleviate this. Proposed actions such as giving penal powers to DGCA also will need to be taken head-on as they impact airlines disproportionately. The third quarter fiscal 2019 performance was better, however, it is premature to say that this is indicative of fare levels going up and a return to profitability. As metros are saturated the competition will be on Tier 2 and Tier 3 cities and SpiceJet will certainly see competition on many of its routes. The UDAN strategy may have worked well as it guarantees monopoly status but whether these are sustainable over a period of time is yet to be established. Overall, the SpiceJet story continues to deliver and we wish them all the best.